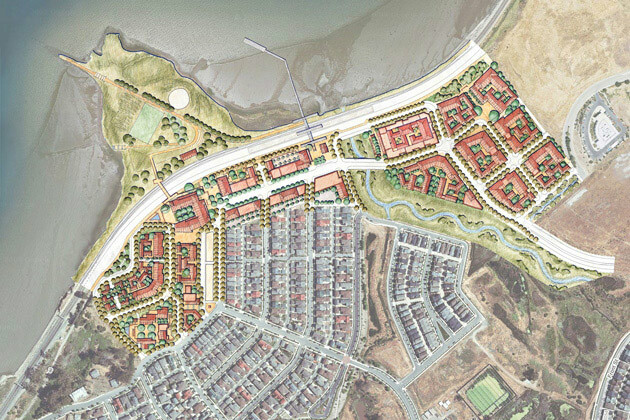 Hercules Town Center is a mixed-use transit-oriented development on a 125-acre brownfield site on San Pablo Bay, thirty minutes north of San Francisco. 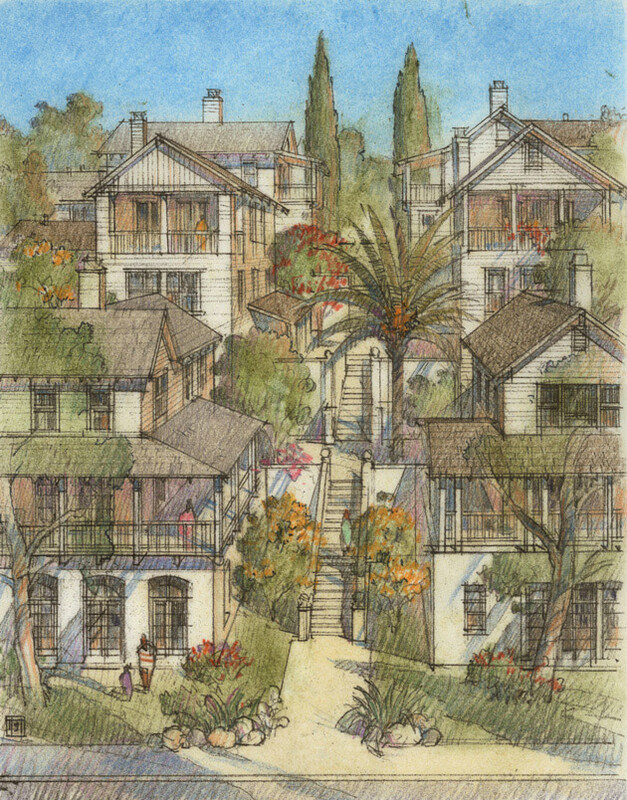 The single-family neighborhoods surrounding the new town center were built and occupied from 2002 through 2006 in accordance with an original master plan. 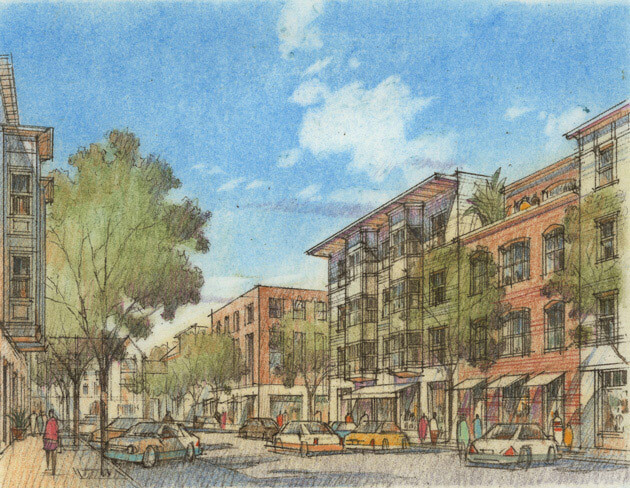 Adopted by the City in 2001, it is among the first in California that included a form-based development code. 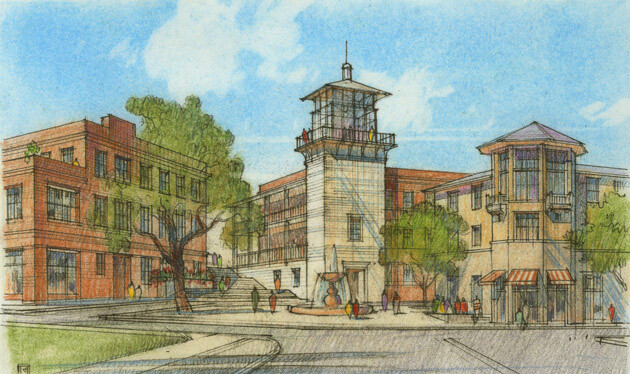 The master developer retained Moule & Polyzoides in 2009 to further refine the urban and architectural design of the mixed-use town center and to better integrate into it the City’s proposed train and ferry terminal. 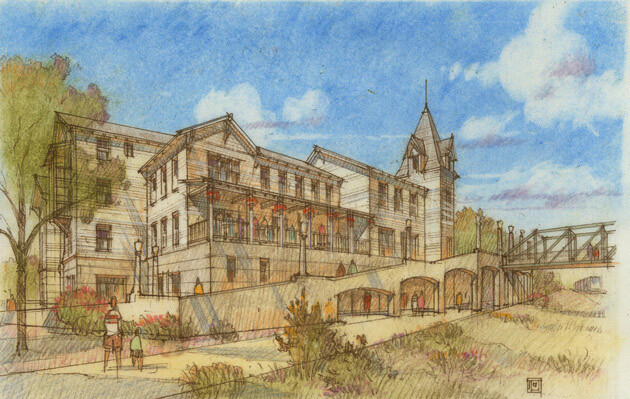 This work recast the historic Hercules Powder Company buildings on the hilltop as a flexible conference center and business campus, defined a mixed-intensity residential quarter cascading to the Bay, and reoriented several blocks to center upon a landmark hotel and plaza as the pedestrian gateway to Hercules Point. The new configuration also clarifies transit access and places related retail, office and civic buildings around a redesigned station plaza.